In its native habitat, as with many Australian natives outside flowering season, Styphelia triflora sits unassumingly within the bushland. However from mid-winter into early spring, these small shrubs transform into a gentle but glorious celebration of nature. This painting was done from a small stand of plants growing at North Head Sanctuary on Sydney Harbour. Here the heathland area known as Eastern Suburbs Banksia Scrub (ESBS) provides ideal and sheltered conditions for it to thrive. 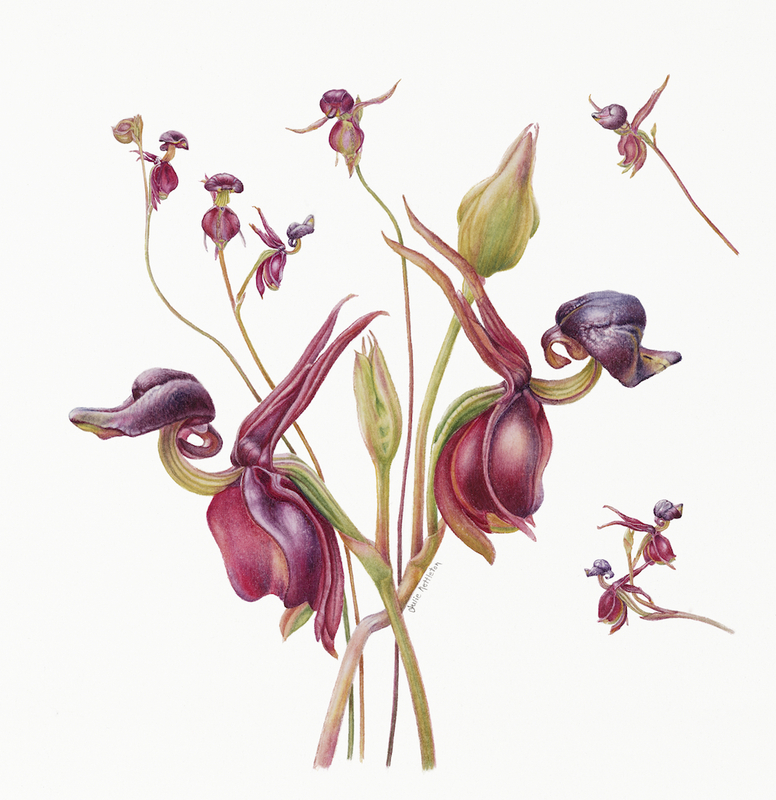 In 2011 the painting was part of an exhibition entitled “The Eternal Order in Nature: The Science of Botanical Illustration” at the Royal Botanic Gardens Melbourne. The exhibition was held in conjunction with the XVlll International Botanical Congress.